The Italian invasion of Albania (April 7–12, 1939) was a brief military campaign by the Kingdom of Italy against the Albanian Kingdom. The conflict was a result of the imperialist policies of Italian dictator Benito Mussolini. Albania was rapidly overrun, its ruler, King Zog I, forced into exile, and the country made part of the Italian Empire as a separate kingdom in personal union with the Italian crown. Albania had long been of considerable strategic importance to the Kingdom of Italy. Italian naval strategists coveted the port of Vlorë and the island of Sazan at the entrance to the Bay of Vlorë, as they would give Italy control of the entrance to the Adriatic Sea. In addition, Albania could provide Italy with a beachhead in the Balkans. Before World War I Italy and Austria-Hungary had been supportive to the creation of an independent Albanian state. 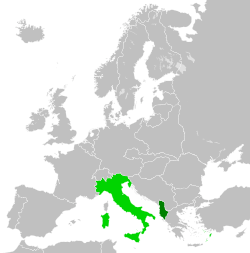 At the outbreak of the war, Italy had seized the chance to occupy the southern half of Albania, to avoid it being captured by the Austro-Hungarians. That success did not last long, as Albanian resistance during the subsequent Vlora War and post-war domestic problems forced Italy to pull out in 1920. The desire to compensate for this failure would be one of Mussolini's major motives in invading Albania. 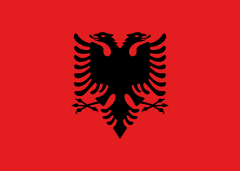 Albania was important culturally and historically to the nationalist aims of the Italian Fascists, as the territory of Albania had long been part of the Roman Empire, even prior to the annexation of northern Italy by the Romans. 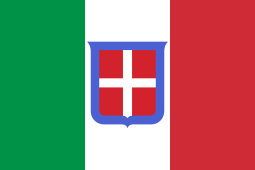 Later, during the High Middle Ages, some coastal areas (like Durazzo) had been influenced and owned by Italian powers, chiefly the Kingdom of Naples and the Republic of Venice for many years (cf. Albania Veneta). The Italian Fascist regime legitimized its claim to Albania through studies proclaiming the racial affinity of Albanians and Italians, especially as opposed to the Slavic Yugoslavs. Italian Fascists claimed that Albanians were linked through ethnic heritage to Italians due to links between the prehistoric Italiotes, Roman and Illyrian populations, and that the major influence exhibited by the Roman and Venetian empires over Albania justified Italy's right to possess it. When Mussolini took power in Italy he turned with renewed interest to Albania. Italy began penetration of Albania's economy in 1925, when Albania agreed to allow Italy to exploit its mineral resources. That was followed by the First Treaty of Tirana in 1926 and the Second Treaty of Tirana in 1927, whereby Italy and Albania entered into a defensive alliance. Among other things the Albanian government and economy were subsidised by Italian loans and the Albanian army was trained by Italian military instructors. Despite strong Italian influence, King Zog I refused to give in completely to Italian pressure. In 1931 he stood up openly to the Italians, refusing to renew the 1926 Treaty of Tirana. After Albania signed trade agreements with Yugoslavia and Greece in 1934, Mussolini made a failed attempt to intimidate the Albanians by sending a fleet of warships to Albania. On April 12, the Albanian parliament voted to depose Zog and unite the nation with Italy "in personal union" by offering the Albanian crown to Italy's King Victor Emmanuel III. The parliament elected Albania's largest landowner, Shefqet Vërlaci, as Prime Minister. Vërlaci served as interim head of state for five days until Victor Emmanuel III formally accepted the Albanian crown in a ceremony at the Quirinale palace in Rome. Victor Emmanuel III appointed Francesco Jacomoni di San Savino, a former ambassador to Albania, to represent him in Albania as "Lieutenant-General of the King" (effectively a viceroy). Flag of Albania, during Italian rule. Upon the occupation of Albania and installation of a new government, the economies of Albania and Italy were connected through a customs union that resulted in the removal of most trade restrictions. Through a tariff union, the Italian tariff system was put in place in Albania. Due to the expected economic losses in Albania from the alteration in tariff policy, the Italian government provided Albania 15 million Albanian leks each year in compensation. Italian customs laws were to apply in Albania and only Italy alone could conclude treaties with third parties. Italian capital was allowed to dominate the Albanian economy. As a result, Italian companies were allowed to hold monopolies in the exploitation of Albanian natural resources. All petroleum resources in Albania went through Agip, Italy's state petroleum company. ↑ Fischer 1999 (Purdue ed. ), p. 21. 1 2 3 4 Fischer 1999 (Purdue ed. ), p. 22. ↑ Fischer 1999 (C. Hurst ed. ), p. 5. ↑ Hall, Richard C. Consumed by War: European Conflict in the 20th Century. University Press of Kentucky. p. 12. ISBN 9780813159959. 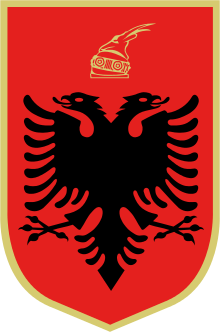 As a result of the Ottoman collapse, a group of Albanians, with Austrian and Italian support, declared Albanian independence at Valona (Vlorë) on 28 November 1912. ↑ Fischer 1999 (C. Hurst ed. ), p. 7. ↑ Pearson, Owen (2004). Albania in the Twentieth Century, A History. Volume I - Albania and King Zog. The Centre for Albanian Studies / I.B.Tauris. p. 429. ISBN 978-184511013-0. ↑ Pearson 2004, p. 439. 1 2 3 Pearson 2004, p. 444. ↑ Pearson 2004, pp. 444-5. ↑ Pearson 2004, p. 454. ↑ Fischer 1999 (C. Hurst ed. ), p. 36. 1 2 3 4 5 6 Raphaël Lemkin. Axis Rule in Occupied Europe. Slark, New Jersey, USA: The Lawbook Exchange, Ltd., 2005. Pp. 102. ↑ Pearson, Owen (2005). Albania in the Twentieth Century, A History. Volume II - Albania in Occupation and War, 1939-45. The Centre for Albanian Studies / I.B.Tauris. p. 433. ISBN 978-184511104-5. ↑ Fischer 1999 (C. Hurst ed. ), p. 189. ↑ Fischer 1999 (C. Hurst ed. ), p. 223. Fischer, Bernd J. (1999). Albania at War, 1939-1945. Purdue University Press. ISBN 978-155753141-4. Fischer, Bernd J. (1999). Albania at War, 1939–1945. C. Hurst & Co Publishers. ISBN 978-185065531-2.